Ok, so I have had this track for a few days now and can’t get enough of it. Jeff and Mike will be releasing the lyric video to the world tonight 01/31/14 at 6pm mst right here: Jeff Sandoval & Mike Araiza on their Facebook page. Let’s talk a bit about the track and the video. While it is an acoustic track it does not come off that way at all, in fact, it’s pretty damn heavy. Let’s talk about the bass first. Kurt Arft lays down a heavy, dirty bassline that, by itself, does not seem like it belongs in this song but it fits like a puzzle piece into it. Kurt gives it that groove that this song so rightly deserves. Chris Collier, who not played drums on this but produced it as well, put all of those puzzle pieces together into one solid track. 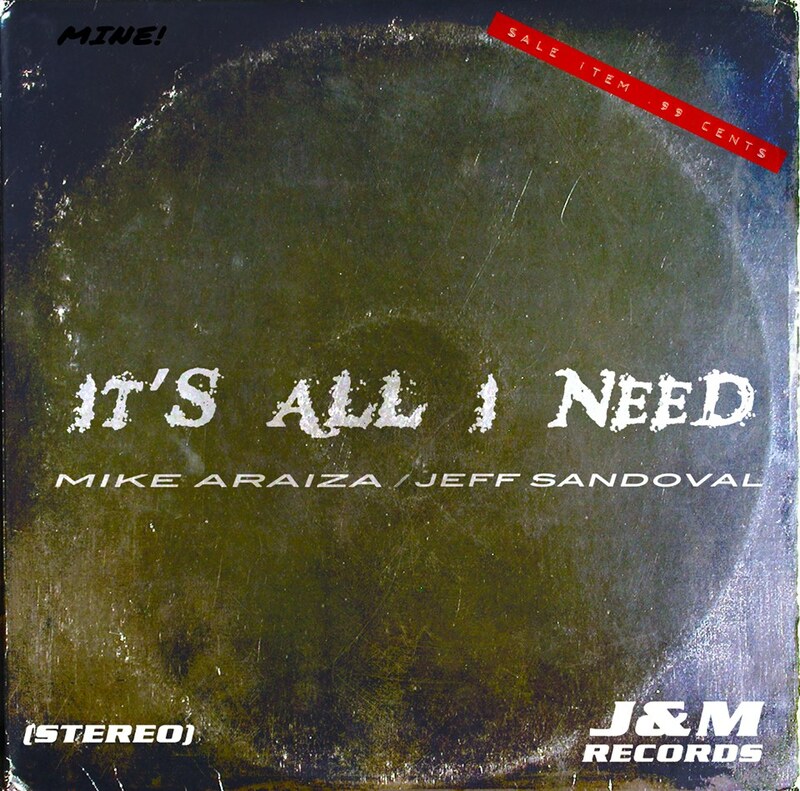 What can I say about Mike Araiza? The guitars on here are clean, and I mean CLEAN. Mike is so full of melody and it truly shows in his playing and style. I keep forgetting that this is an acoustic track. Ahhh the vocal stylings of Jeff Sandoval. There are not to many vocalists out there that can still give me the chills, Jeff is one of them. You feel ALL of the emotion that Jeff is imparting into his vocals. The video for “It’s All I Need” is an incredible piece of work as well. While it is a “lyric”video it leaves you with the images playing over and over in your head. You will find these images replaying in your mind every time you listen to this song. Don’t miss out on the premier on 01/31/14 at 6pm mst right here: Jeff Sandoval & Mike Araiza on their Facebook page! This entry was posted in Artist, Bassists, Classic Rock, Drummer, Guitarists, Internet Radio, Music, Rock, Rock N' Roll, RockStar, Surrealist, Vocalist, Wornstar Clothing and tagged Bleach Bang, Bleach Bangs, Bleach Bangs Radio, Brian Wheat, Charlie Owens, Chris Collier, Classic Rock, Crowned By Fire, Dave Meniketti, Dave Rude, Dickey Betts, Die Hard Til Death, Frank Hannon, Frank Hannon Band, Hard Rock, Heavy Metal, Jeff Keith, Jeff Sandoval, Jeffery Sandoval, Kurt Arft, Metal, Mike Araiza, Mike Araiza and Jeff Sandoval, Mind Merchant, Music, Of The Earth, Pat Travers, Randy Norris, Rick Derringer, Rock, Rock N' Roll, Rock Star, RockStar, Six String Soldiers, Tesla, the Hellion, the Hellion Rocks, Troy Luccketta. Bookmark the permalink.